As many as 1.4 million citizens with security clearance saw some or all of the same documents revealed by NSA contractor Edward Snowden. Why did he, and no one else, decide to step forward and take on the risks associated with becoming a whistleblower and then a fugitive? Rall’s all-comic, full-color biography delves into Snowden’s early life and work experience, his personality, and the larger issues of privacy, surveys the new surveillance technologies being deployed against the American people, and the recent history of government intrusion. Rall describes Snowden’s political vision and hopes for the future. The book tells two stories: Snowden’s and a larger one that describes all of us on the threshold of tremendous technological upheaval and political change. Snowden is a portrait of a brave young man standing up to the most powerful government in the world and, if not winning, at least reaching a stand-off, and in this way is an incitation to us all to measure our courage and listen to our consciences in asking ourselves what we might have done in his shoes. Want It Dedicated? To Whom? 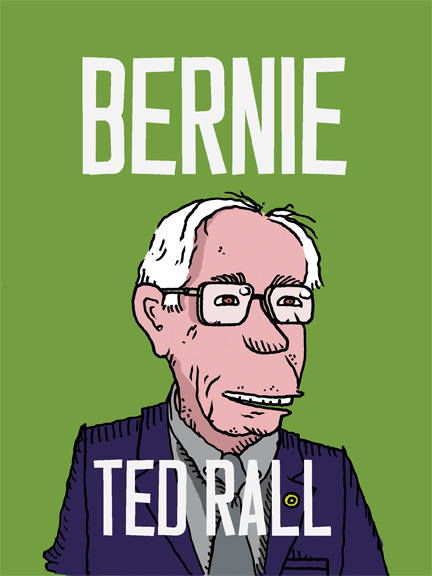 This entry was posted in Books and tagged biography, Book, comics journalism, Edward Snowden, National Security Agency, NSA, Snowden, surveillance on May 5, 2015 by Ted Rall. The expanded paperback 2nd edition of Silk Road to Ruin: Why Central Asia is the Next Middle East is OUT NOW. You can order it from Amazon or scroll below to order an autographed copy directly from me. Signed copies come with a personal sketch and can be dedicated to anyone you want. And most of the money goes to me, unlike Amazon, which pays authors about a buck a copy. The new edition updates the politics and current events sections to the present. In addition, there is a bonus chapter about my expedition to Lake Sarez in Tajikistan — Central Asia’s “Sword of Damocles,” which could cause an epic flood that could kill millions of people at any time. If you are a book critic or reviewer interested in a review copy, please contact NBM Publishing directly. If you would like me to speak about Central Asia and the new book at an event, please contact me through the contact form here on the Rallblog. This entry was posted in Blog and tagged afghanistan, authoritarianism, Book, Central Asia, China, comics journalism, dictatorships, Islam Karimov, kazakhstan, Kyrgyz Republic, kyrgyzstan, nazarbayev, Niyazov, Rahmon, Soviet Union, tajikistan, Ted Rall, Turkmenbashi, turkmenistan, USSR, Uyghurs, Uzbekistan, Xinjiang on April 1, 2014 by Ted Rall. 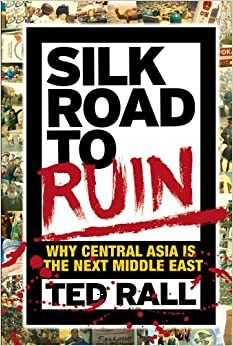 The expanded paperback 2nd edition of Silk Road to Ruin: Why Central Asia is the Next Middle East comes out April 1, 2014. It is now available for pre-order from Amazon. The new edition updates the politics and current events sections to the present. In addition, there is a bonus chapter about my expedition to Lake Sarez in Tajikistan — Central Asia’s “Sword of Damocles,” which could cause an epic flood that could kill millions of people at any time. This entry was posted in Blog and tagged afghanistan, authoritarianism, Book, Central Asia, China, comics journalism, dictatorships, Islam Karimov, kazakhstan, Kyrgyz Republic, kyrgyzstan, nazarbayev, Niyazov, Rahmon, Soviet Union, tajikistan, Ted Rall, Turkmenbashi, turkmenistan, USSR, Uyghurs, Uzbekistan, Xinjiang on February 26, 2014 by Ted Rall. An independent account—in words and pictures—of America’s longest war from the beginning of the end to the end of the beginning. I traveled deep into Afghanistan—without embedding myself with U.S. soldiers, without insulating myself with flak jackets or armored SUVs—where no one else would (except, of course, Afghans). I made two trips, the first in the wake of 9/11, the next ten years later, to see what ten years of U.S. occupation had wrought. On the first trip, I was shouting his dispatches into a satellite phone provided by a Los Angeles radio station, attempting to explain that the booming in the background—and sometimes the foreground—were the sounds of an all-out war that no one at home would entirely own up to. Ten years later, the alternative newspapers and radio station that had funded my first trip could no longer afford to send me into harm’s way—so I turned to Kickstarter to fund a groundbreaking effort to publish online a real-time blog of graphic journalism (essentially, a nonfiction comic) documenting what’s really happening on the ground, filed daily by satellite. The result of my reporting is After We Kill You, We Will Welcome You As Honored Guests: Unembedded in Afghanistan—an account of one graphic journalist’s effort to bring the realities of life in twenty-first century Afghanistan to the world the best ways I know how: a mix of travelogue, photography, and comics. How would like it signed? 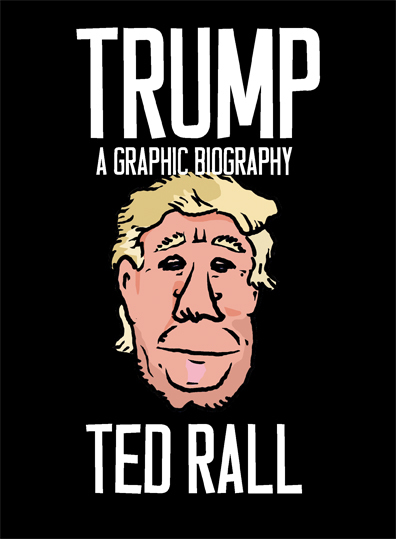 This entry was posted in Books and tagged 9/11 attacks, afghanistan, Book, Cartoonists, comics journalism, Foreign Policy, Joe Sacco, Matt Bors, Steven L. Cloud, War, war blog, war on terror on October 12, 2013 by Ted Rall. This is the book I wanted to write instead of To Afghanistan and Back — everything you ever wanted to know about Central Asia, without having had to attend grad school — but didn’t have time. Five years later, I was able to release my Central Asia brain dump, a book anyone can read cold and come away understanding the importance of the region and why it’s so interesting. Comprising travelogue, political analysis and five graphic novellas, “Silk Road to Ruin” examines the “New Middle East”–a part of the world the United States is focusing upon more than the Middle East. “Silk Road to Ruin,” featuring an introduction by “Taliban” author Ahmed Rashid, includes 200 pages of essays about everything from oil politics to the wild sport of buzkashi and 100 pages of graphic novel-format comics about each of my five trips to the region. Elderly Central Asians are starving to death in nations sitting atop the world’s largest untapped reserves of oil and natural gas. Looters are cavalierly ambling around in flatbed trucks loaded with disinterred nuclear missiles. Statues of and slogans by crazy dictators are springing up as quickly as their corrupt military policemen can rob a passing motorist. And on the main drag in the capital city of each of these profoundly dysfunctional societies, a gleaming American embassy whose staff quietly calls the shots in a new campaign to de-Russify access to those staggering energy resources. CIA agents, oilmen and prostitutes mix uneasily and awkwardly in ad hoc British-style pubs where beers cost a dollar–a day’s pay and more than enough to keep out the locals. In an extreme case of the “oil curse,” wealth is being pillaged by U.S.-backed autocrats while their subjects plunged into poverty. Meanwhile Taliban-trained Islamic radicals are waiting to fill the vacuum. It is a volatile mix. But does anybody care? Maybe not — but you should. Transformed by what I saw being done in America’s name and eager to sound the alarm, I went back to remote Central Asia again and again. I returned to visit the region’s most rural mountain villages. 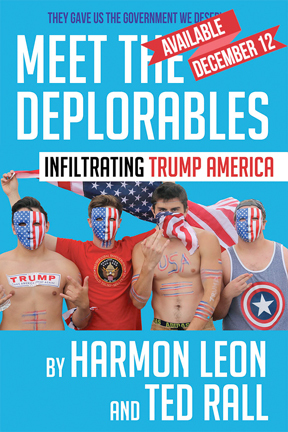 He brought two dozen ordinary Americans on the bus tour from hell. I went as a rogue independent and as a guest of the State Department. I came back to cover the American invasion of Afghanistan after 9/11, then went back again. Capitals moved, street names changed and the economic fortunes of entire nations turned on a dime from year to the next, but those changes merely reinforced my belief that Central Asia is really the new Middle East: thrilling, terrifying, simultaneously hopeful and bleak, a battleground for proxy war and endless chaos. It is the ultimate tectonic, cultural and political collision zone. Far away from television cameras and Western reporters, Central Asia is poised to spawn some of the new century’s worst nightmares. This entry was posted in Books and tagged afghanistan, authoritarianism, Book, Central Asia, China, comics journalism, dictatorships, Islam Karimov, kazakhstan, Kyrgyz Republic, kyrgyzstan, nazarbayev, Niyazov, Rahmon, Soviet Union, tajikistan, Ted Rall, Turkmenbashi, turkmenistan, USSR, Uyghurs, Uzbekistan, Xinjiang on August 1, 2006 by Ted Rall.